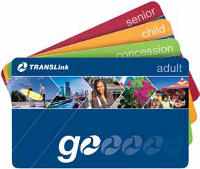 You can buy and top up go card at Jindalee News, Stationers & Gifts and St Lucia News. 1. Visit Jindalee News, Stationers & Gifts or St Lucia News. 2. Hand us your go card and let us know how much you want to top up.